Back in last year in July, the newbie of Reliance Industry i.e. Reliance Jio launched the JioPhone. Well, today the company has unveiled JioPhone 2 at Annual General Meeting (AGM). The company also announced that they sold 25 Million units of JioPhone. Coming to the successor of the JioPhone, it is adopted modern design and now the device looks better. One of the highlighting features of the JioPhone 2, it features the QWERTY keyboard (it has special place in my heart). So, let’s check out the specification, pricing, and availability details of the new device. 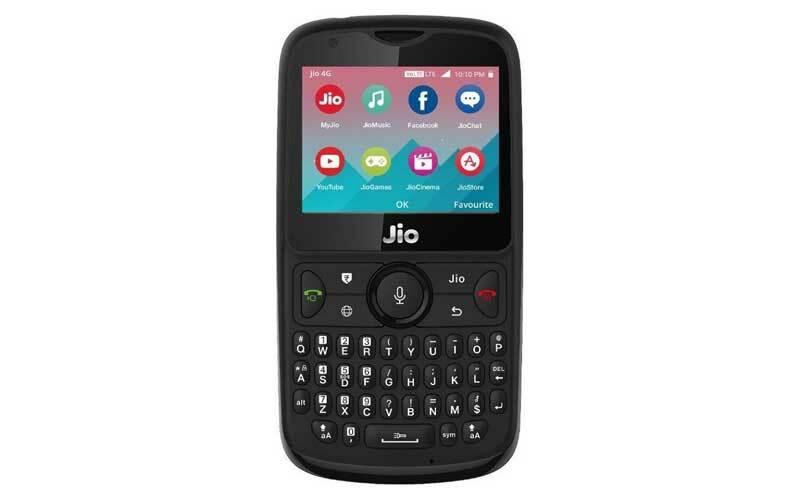 The all new JioPhone 2 is also a feature phone, it is coming with 2.4 inch QVGA display and has 320 x 240 pixels resolution. There’s no information about the processor, but the device has 512 MB RAM. In terms of storage, the device has 4 GB internal storage and can be expandable upto 128 GB via microSD card. The device also supports camera, the device offers 2 megapixel rear camera along with 0.3 megapixel front camera. 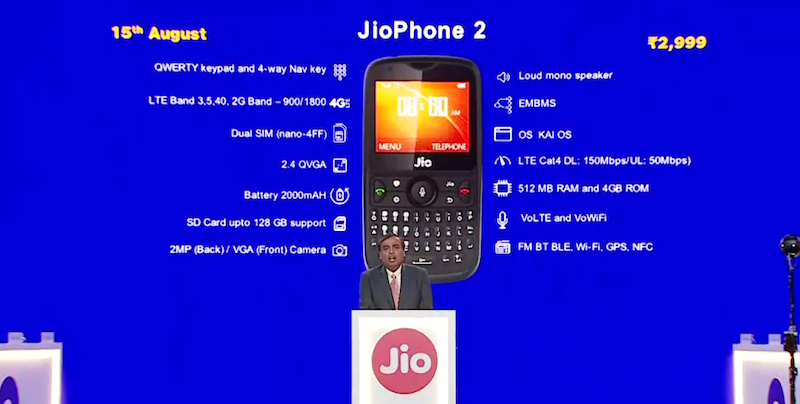 The JioPhone 2 also comes with JioApps, Jio Assistant, and Supports 22 Indian languages. Moreover, the JioPhone 2 also supports the popular social media apps such as WhatsApp, Facebook, and YouTube. Talking about the connectivity, the device supports dual Nano SIM with 4G VoLTE, Vo-Wi-Fi, LTE Cat4, GPS, Bluetooth 4.1, Wi-Fi, NFC, FM Radio, 3.5 mm headphone, microUSB 2.0. Having said that, the primary SIM slot is limited to Jio’s network. However, the secondary slot allows to insert SIM card of any other telecom operator. The device runs on KAI OS and it ships on 2,000 mAh battery. The device has the price tag of ₹2,999 as an introductory offer, and the device will available from August 15. What’re your thoughts about the new JioPhone 2??? Do let us know your thoughts in the comments section below!